I understand this will be getting the marshmallow upgrade. Great price if you got one. I type in my number when I proceed to checkout and the screen greys out (like an overlay to the website). Anyone having same problem? 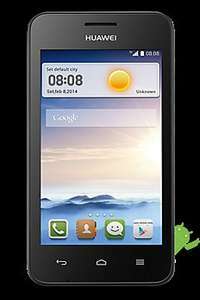 Anyone have a Vodafone, orange or t mobile they can lend me to get this? 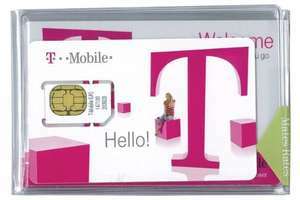 I wonder how even after 5 years of EE being formed, T-Mobile SIMs are still being manufactured let alone sold. Hi, I realise this is an old thread and somewhat outdated but it might be perfect for our needs. My father is on Virgin for his TV and home phone and fancies getting the internet to "look stuff up" - no streaming / downloading etc. Virgin want £20 a month extra for the privilege which i think is ridiculous We have bought him a tablet for Christmas. If he gets one of these sims can someone suggest a suitable dongle or mifi to put it in please. I posted this deal months ago, and didn't realise it was still active! At the time of posting, I didn't realise you could simply get a T-Mobile PAYG SIM and just top up £20. I thought you had to buy one of these specific Data deals. This eBay deal never seems to expire! Anyone have it stuck on max brightness (can't turn it down) ? Sorted now and I think I know why. The Y330 has electronic rather than physical detection of whether the earphone socket is in use. It's expecting the impedance to be low, but my car's AUX like most, has a very high one. Fixed by using the free Soundabout app from the Play store, selecting the Headphone (rather than Earphone) output for apps gives a decent line out level. Tried using my new Y330 as an MP3 player today, plugged in the usual 3.5mm plug to 3.5mm plug aux audio cable. The sound stays playing from the phone! First time I've had this issue with any phone. Google doesn't seem to know about the problem. I'll try sending the sound via the cable to another car. I went for the virgin one, did an online check to see if I qualified and weirdly I did. I make about 4 calls a year ;D but had ~£11 on the sim. Then I bunged a giffgaff sim in it. My number was accepted, order put through, but then they sent an email saying the number was not eligible. This, after the order going through, the number meeting all the conditions and it seemingly being fine. So, even if the order goes through, no guarantee. Thank you. The black is actually showing as in stock for me right now, it wasn't just a few minutes ago, in case anyone is after the black. the older post includes the black version, this only includes the blue or pink so technically the older post is misleading as the black version is no longer available. There wasn't a charge last week. Don't forget the £119.99 charge for the handset! 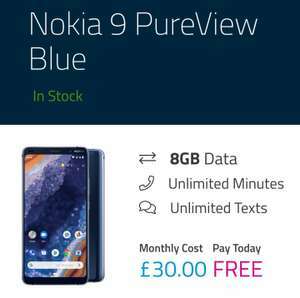 £192 refurbished from O2 on the refresh deal. Cashback is down to £28.35 now on tcb? this how could I miss it? I called my local poundland in edgware and they don't seem to do this deal! :( I need a 2nd sim for incoming texts. Any ideas folks? put them in the phone dial 150 to see if the £5 is on then you can keep the credit as long as start using before 180 days not seen the ones without the yellow stickers. Does the sim need to be activated before 31.12.14 to get the £5 free - this is what it says on the yellow sticker. If it is activated, what do you need to do to keep the credit and sim active? Has anyone bought the ones without yellow stickers on the front? Do they also have £5 included? You're right! It's one of those things that's obvious as soon as someone says it. :D £1 spent as a Three topup buys 33m20s. Spending £1 to get £5 credit at EE buys 16m40s. And for texting, the difference is even more pronounced. £1 for 100 texts at Three; or £1 (for £5 credit) for 41 texts at EE. That said, someone could spend the £5 credit on talk &amp; text packs, and for five weeks running have a weekly allowance of 25 minutes and 50 texts (total, 125 minutes and 250 texts). Even paying as you go, still a hot enough deal for people who can't use Three because of coverage or because they don't have a 3G phone. I had a battle with them on the phone yesterday, cut off twice first operator said he knew all about it and would sort it, second didnt have a clue ended up with the sales team who said its the £15 tarrif and i'll be discounted £5 every month. We'll see! Also why is this expired? Still on this weekend. No code mate. Just make sure the advisor processes it as an EE Extra £15 10GB plan and there will be £5 off every month on your bill. It is done like this as there is no £10 PM 10GB plan on the system. No, if your sales advisor selects £10 pm it will be for 2GB and you face a battle, there is no 10GB £10 option on the system. I can't see any mention of the £5 per month discount, the website only seems to mention the £15 per month package. Do I need a code or something please? Cheers. when i try and register on ee.co.uk i get Sorry, an unexpected error has occurred. Please try again anyone else getting this EDIT: now I'm getting this: ADDRESS FAILURE The address you have entered does not match the address we have on record for this phone. Please check you entered your details correctly. If your address has changed since you previously registered your phone, please call our team on 150* from your T-Mobile phone or 0845 412 5000 from a landline to have your details updated. This worked for me I got two sim cards in the end :) I asked the woman on the phone when I was transferring the credit. how long will it be until they terminate the number through inactivity she said you have to make a chargeable text or call at least every 30days and top up by at least £1 at least 180days after activation. ( http://kenstechtips.com/index.php/payg-inactivity-account-termination-and-credit-expiry) I always thought that you had to make a chargeable call or text at least once every 180days to keep it active. Not sure if she was just saying this so I'd spend more money? Could anyone shed any light on this? Is the credit preloaded onto the sim or does it come as a voucher? anybody ordered and tested it on psn credit yet? 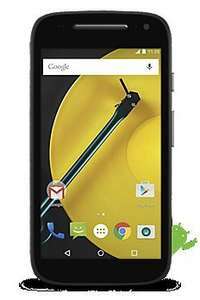 My SIM finally arrived today and I finally clarified how to switch from T-Mobile to Ee. First of all, get hold of an Ee SIM (free here). Once you have it, call the number I gave above (0800 956 6000), select the option to join Ee as a PAYG customer. (option 2 then option 1 - ignore what it says about purchasing a phone, it is the correct option). Explain to the advisor you wish to transfer your PAYG account from T-Mobile to Ee. You will be put through to customer services but make sure they remove any pack on the new Ee SIM before transferring the account over. I confirmed will I get the free 100MB of data every month and was told this would be the case. thanks op got the sim cards both had the £5 credit on each sim card. Apparently this says you should call 0800 956 6000 to transfer your SIM and credit over - no idea if it works though. Am interested to know too, as my SIM is due to arrive in the next couple of days too. message them on eBay.i am waiting for 2 myself.the company who is suppying the sim cards is called chitter chatter. I received sim with zero balance. what I have to do any idea? Brilliant thanks, interestingly you get a free 100mb data per month free till end of year at the moment. Not much but hey it's free! you can't, just put it in a phone and send the text. Question is, are these 106's easy to unlock?